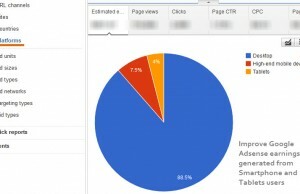 Google AdSense is one of the most trusted way of money making for bloggers and other publishers. For publishing a Ad thru AdSense, you need to generate a code into AdSense program based on the choice of your ad and then paste that code into your blog. 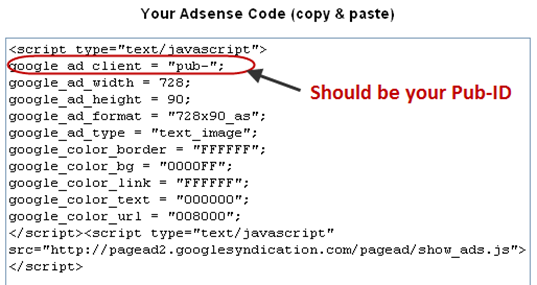 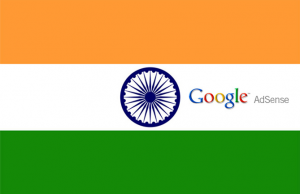 We have previously discussed about making more money thru Google AdSense program and now today we will update you about getting AdSense code for a particular ad without logging into Google AdSense. 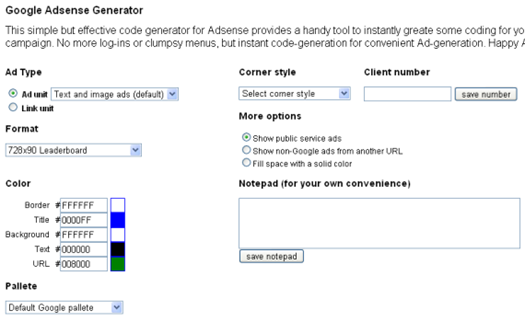 Problem with this AdSense code generator is that you don’t have option to track this piece of Ad which you can do in Google AdSense window thru different channels. But if you want to place a ad in hurry without logging into AdSense program or incase AdSense program website is not opening then go ahead and generate the code from AdSense Generator.